Four years ago I found a Facebook message in my inbox. The sender liked an essay I had written and wanted to read more of my work. His name was Alex Green. Me being me, I Googled him to make sure he wasn’t a stalker. He wasn’t. I soon found out who he was, though. 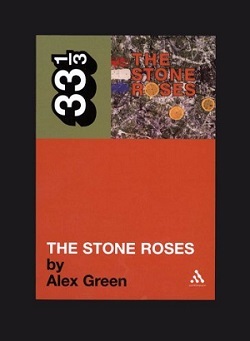 Green is the author of The Stone Roses, a book about the influential British band of the same name, published as part of Bloomsbury’s acclaimed 33 1/3 series. He’s also the editor of Stereo Embers, a music and entertainment e-zine. When he asked me to write for the site, I told him that if he was looking for someone to say that One Direction was nifty keen, I wasn’t his girl. He didn’t, and we’ve been working together ever since. 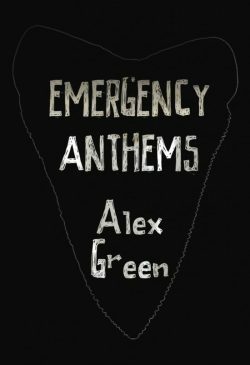 Since then Green has released two more books: Emergency Anthems, a collection of poetry and short fiction; and his debut novel, The Heart Goes Boom (published last year by Wrecking Ball Press). 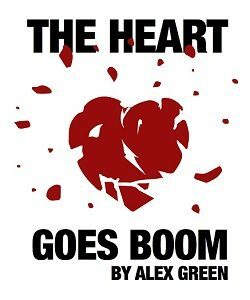 The Heart Goes Boom details the journey of Kieran Falcon, a C-list actor who is told he must find true love in a matter of weeks. Falcon enlists the services of a writer, a magician, and a wise man to help him along the way. 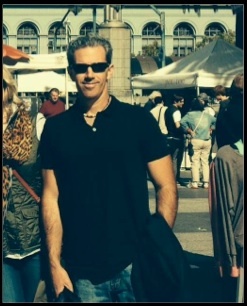 When he’s not writing, Green is busy interviewing authors at Kathleen Caldwell’s A Great Good Place for Books (located in the Oakland’s Montclair district), teaching English at St. Mary’s College, and hosting a top-ten radio show on Primal Radio called … what else? The Heart Goes Boom. 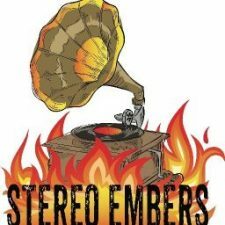 He also still produces Stereo Embers, which recently received a fan letter from Amy Winehouse’s mother, Janis. Somehow in the midst of everything, Green managed to have time to answer some of my burning questions. JKG: The Bay Area has been home to many writers, including Anne Lamott, Michael Chabon, Jessica Mitford, and YA novelist Yvonne Prinz. How has the Bay Area affected your writing? Green: It’s affected it a great deal; I’m a bit obsessed with Northern California. It’s fertile ground for artists. It’s always been a community that’s alive with theater, music, bookstores, and indie movie theaters. Plus, the terrain is so redolent with promise, beauty, and heartbreak, it’s an irresistible thing to not write about. California itself has appeared almost as a singular character throughout my writing, kind of like the hotel in The Shining, but less creepy — or more creepy, depending on how you view my work. JKG: We share an appreciation of the absurdities of pop culture. Tell me about your first pop culture love. Green: The movie version of Hair rocked my fourth-grade world: the hirsute bravado, the shaggy rebellion, the unexpected tragedy. Then MTV sucked me in back in 1981, and nothing was ever the same. Bowie, The Specials, Talking Heads … maybe even that J. Geils Band video, “Centerfold” — a portal opened that knocked me out. JKG: Music is woven in all your work, be it Stereo Embers or your books. What was your first record? What are you listening to right now? Green: My first album was The Police’s Ghost In The Machine. Now I’m listening to The Vaccines, The Paper Kites, Modern Space, Golden Curtain, and for some weird reason The Babys. JKG: Would you describe Emergency Anthems as poetry, short fiction or both? Green: Short fiction disguised as poetry that’s disguised as an 85-page homage to the Twilight series. JKG: The Heart Goes Boom starts off with an emergency when the protagonist, Kieran Falcon, is pushed through a psychic’s window. What attracts you to writing about emergencies and calamities? Green: My therapist might answer that question better than I can, but what’s always interested me about emergencies is what comes after. The emergency itself is largely uninteresting. What’s compelling to me is how people assemble in the aftermath of a seismic event. They can grow cold or warm — it can go a number of ways, but you see who people really are when the struggle is over and the dust is settling. JKG: Kieran Falcon has a Lorenzo Lamas vibe about him. Did you base him on Lamas, or on any other 1980s heartthrob? Green: I based him on every ‘80s heartthrob; he’s a composite of them all. He’s also based on a character from a 2006 film called The Big Bad Swim. Originally he was based on a guy I taught tennis with back in the early ‘90s, who was such a tennis pro cliché that he literally slept with every woman in a 438-mile radius of the club. He may or may not have had a new strain of chlamydia named after him. Worth Googling. JKG: Falcon also has a Ted Baxter/Derek Zoolander quality. Were you scared he could fall into the himbo stereotype? Green: I was scared that people might not like him and that they wouldn’t hang in there to see if he could be redeemed. He’s a sweet guy who hasn’t grown up, so his teenage obsession with sexual triumph is a skin he’s never shed and he absolutely needs to. The book kind of suggests that that mentality will prevent you from experiencing real love and will guide you smoothly down a long and lonely path to oblivion. So it was a risk because his behavior is awful, but I thought people would take a chance on seeing if someone who’s so lost can ever be found. By the way, that last part may or may not be stolen from an Ed Sheeran song. JKG: There are many current pop culture references in The Heart Goes Boom. How did you choose which ones to use? Green: I picked ones that are absurdly famous and I picked them to poke fun at the extremity of celebrity culture. I also picked ones that used to be absurdly famous because they’re where the currently absurdly famous are headed. JKG: Aren’t you worried those references might date your book? Green: A little worried, but I thought I could change it every year and swap out [Canadian pop star] Justin Bieber for [Canadian Prime Minister] Justin Trudeau. JKG: What are you working on right now? Green: I’m working on a YA detective novel about a black market organ ring that’s set against the backdrop the thrash metal scene. It’s a Christmas novel. Humor is how I’ve always shielded myself from the world; there’s no lock that humor can’t pick. JKG: When you interview authors for A Great Good Place for Books, do you ever get nervous about asking questions that sound great on paper, but possibly goofy aloud? Green: I never bring questions. I have no idea what I’m going to say until the interview starts. A risky move, but it just feels better that way. JKG: Does that means that your interviews turn out to be more conversational and free-flowing? Green: Conversational, free-flowing and I’ve been told, utterly devoid of thought or meaning. JKG: Recently Stereo Embers heard from Amy Winehouse’s mom, Janis, about an essay you ran on the site about the late British singer. Can you say more about that letter? 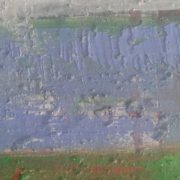 Green: She wrote it to the author of the piece, Paul Gleason. Paul’s a lovely guy. He was very moved. It was a brilliant piece and her mother quite liked it. I was happy to see that our little magazine is reaching a bigger audience and that sometimes that audience is related to the subjects we write about. That’s a very cool thing. JKG: You’re a funny guy. How do you incorporate humor into your writing? Green: Humor is how I’ve always shielded myself from the world; there’s no lock that humor can’t pick. It has an instantaneous way of making the terrifying seem silly. JKG: Who are your comedic influences? Green: Woody Allen. George Carlin. David Letterman. Without them, I’d be glumly selling real estate in Oregon. JKG: Do you think you can sustain that sense of humor in the Trump era, or is it gone with the wind? Green: It’ll never be gone. It’s the only way I can make sense of the world.